Cast iron is the number 1 choice for professionals and is used in commercial kitchens, however cast iron does need careful care to maintain, here we give you some helpful information on how best to look after your grills. The heavy mass of cast iron absorbs and retains heat to provide unsurpassed searing performance to lock in the natural juices of food on the grill. 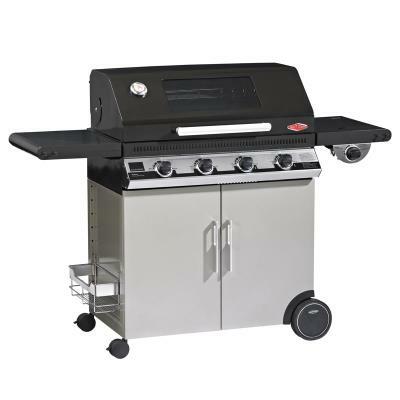 Most cast iron grills are coated with a porcelain finish to assist in cleaning and help prevent rust. Some chipping may occur if mishandled and over time this coating will inevitably wear through, this will not in any way affect the performance of the grill. As the porcelain wears away, the grills will become more susceptible to rust, should you see rust on your grill simply remove it with a scrub pad or grill brush and coat the area with cooking oil. Never clean cast iron grills in the dishwasher or leave to air dry. This rule applies to any cast iron cooking product and so includes extras like cooking and frying pans, griddle plates etc. Wash the cast iron with soap and water to remove any residue from the manufacturing process, rinse and dry thoroughly. Next, coat lightly with unsalted lard/butter or grape seed oil, the place in the barbecue and set on a low heat for about and hour. Let the cast iron cool to room temperature, then repeat the coating and return to the same low heat for another hour, remember to coat the entire grill, edges, corners and underside. Over time your grills will become 'seasoned', occasionally repeating this process and always keeping the grills oiled will make clean-up easier and prolong the life of your cooking grates, as well as creating a non-stick coating that improves over time. Never use a spray on oil or non-stick coating, the burn temperature is too low and so will not last on the cooking surface. High Position: Further away from the burner, therefore uses less direct heat. This is position is ideal for chicken, fish and vegetables. The wider twin grooves on the grills allow for more contact and better support to delicate fish and vegetables, the channels will also capture juices to continually baste your food as it cooks. Low Position: Closer to the heat, therefore uses more direct heat. This position is ideal for steaks and general grilling. The pointed side will give your steaks the same classic grill marks found in famous steakhouses. Sloped: This position is ideal for excessively greasy, fatty foods such as chicken wings, some sausages and burgers, the slope allows excess grease to drain down the side of the casting, reducing flare-ups (this is only available on some models, the manufacturer Broil King offer this on their larger barbecues). When your finished cooking, do not clean your grills, turn your barbecue off, the left over grease and fat will add protection. The next time you cook, you have to pre-heat your barbecue and it is at this time that you brush your grills with a good quality grill brush, when the grills are hot they will clean easily, once the old residue is off you can apply a fresh coating of oil to keep food from sticking. Occasionally, or after heavy use of cooking marinades etc, the grills will require a thorough clean, always hand dry thoroughly after cleaning with soapy water and re-apply oil immediately. 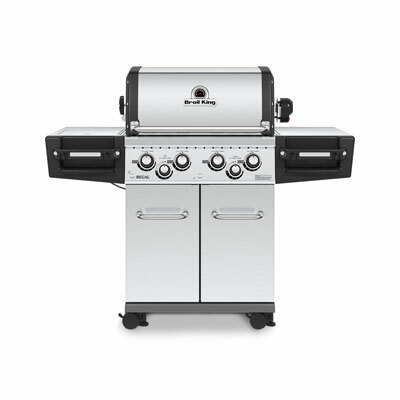 Rotate the grill: The most common area for rust to form is the two outside edges. 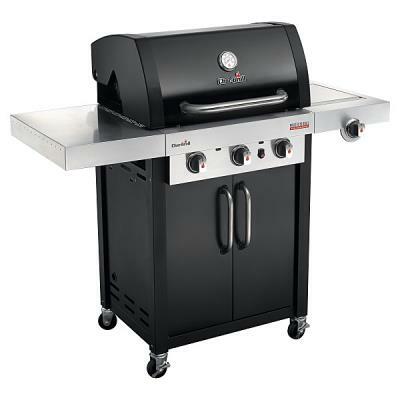 by frequently rotating the grills the overall surface is used evenly and will reduce the occurrence of this problem. Brushes: Brass brushes are relatively soft and will not harm the porcelain coating, many grill brushes are now using stainless steel bristles, although a harder metal, the bristle form makes it safe for use on porcelain coated grills, try to avoid hard steel scrapers or other abrasives that could scratch or chip the porcelain. Oils: The best grilling oil is Grape Seed oil. It has the highest burn temperature and neutral flavour that is perfect for grilling. Alternatives include Canola or Vegetable oil, NEVER us Olive Oil as the burn temperature is far too low. You can also use Peanut Oil, it has a high burn temperature, but does have a strong flavour so will not go with all your cooking, and with a lot of people having peanut allergies it is safer to avoid it all together.